I haven't had tried masala puri till recently ...even after staying in Bangalore for more than 5 years now! This is something what I wanted to atone for. I tried going to Malleswaram and eat this chaat at a street vendor's stall but somehow ended up disliking it. The peas gravy had a peculiar taste to it but I was not about to accept defeat. How could a foodie like me give up on this Karnataka's local favourite without even trying for it! 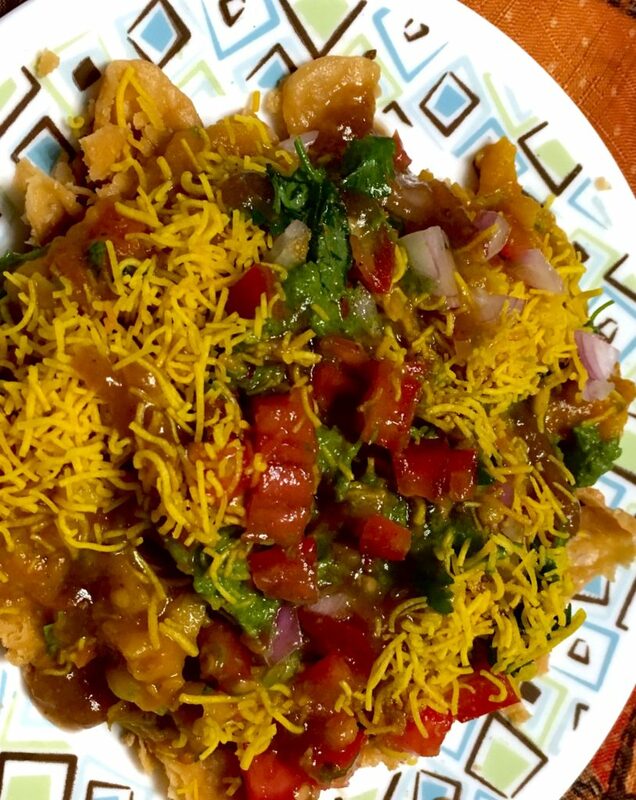 Well for the unacquainted, masala puri is a chaat item which consists of a crushed puris served with piping hot, peas masala gravy, an assortment of chutneys and sev. Many locals just vouch for its mouthwatering goodness. So what was I waiting for... I googled for its recipe and finally decided to try the recipe given on hebbarskitchen.com. Pressure cook the soaked peas with carrot, potato and salt till they are soft and ready to get mashed. In a kadhai, heat the oil and fry the onions with ginger, garlic and green chillies for a couple of minutes. Add the tomatoes, turmeric and chilli powder and fry it more for 2-3 minutes. Once the onion-tomatoes are done and mushy, allow it cool and grind it without adding any water. Again, using the same kadhai, add the ground paste with mashed peas and sufficient quantity of water to form a gravy. ( No need to add oil again). Add the remaining masala powders to this gravy and allow it to boil well. Adjust the consistency with water as per your liking. Usually this masala is prepared a bit thin to serve it on top of the puris. Crush around 5-6 puris in plate. Pour a ladleful or two of peas masala gravy on top of it. To this, add generous quantities of sev; chutneys as per your liking, garnish it with finely chopped onions, tomatoes and coriander leaves. Finally, sprinkle the chaat masala for that typical yummy taste! Note: One can even use dried green peas for this recipe.